During and after his tenure as President of Harvard University, Charles Eliot liked to contend that the essentials of a liberal education could be gotten by simply reading fifteen minutes a day from a selection of great books that would all fit on a five-foot shelf. If so, you wonder why people line up each year at Harvard’s admissions office to pay around fifty grand a year to get same result inside the ivy-covered walls. Eventually P.F. Collier and Son would publish an edition of Eliot’s collection and realize very successful sales of the set now known as the Harvard Classics. And Eliot’s message is transferable to other fields as well, like life insurance sales. In an age of increasingly multi-service advisors, many financial professionals whose core competency is in another area, e.g. investments, P&C, or health insurance, would like to begin those first steps into assisting in the life insurance planning of their clients. Hesitation to get started is usually grounded in a lack of security regarding the concept and the generic considerations that attend any case. First, we have created an overview of all the basic information you need to get started talking competently and helpfully to clients about coverage needs. Second, it doesn’t require reading five feet of books – in fact, it is all covered in just three pages. This resource discusses types of coverage, quick calculations to determine insurance needs, common planning mistakes when naming owners and beneficiaries, and a quick and understandable review of the primary income and transfer tax issues relating to a policy. You can get a copy of this quick-study by contacting me or one of your life sales & marketing specialists. You will find it valuable not only for personal review, but also for training purposes with your staff, or CPAs and attorneys who want an overview of the topic. Also, we will assist in your training efforts by conducting conference calls using the outline as the format for the discussion. 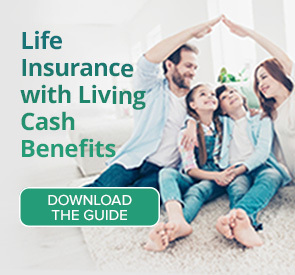 No computers, no webinars – just a simple phone call from wherever the participant happens to be to quickly gain new confidence in presenting life insurance concepts to clients. Give us a call now for more information. President Eliot was less successful in a different endeavor at the school: the abolition of the football program. The Crimson eleven responded to his low opinion of the game by winning the 1910 national championship the year after his retirement, their seventh in the competitive history of the college sport.